Property owners in Cinco Ranch, TX can rely upon Target Restoration’s emergency restoration services to restore damaged buildings and homes in a timely manner, and we have been trusted to do so for 20 years and counting. Each and every one of our professionals is completely committed to restoring your property to its original condition so we can lessen the stress that comes with such an emergency situation. Target Restoration is affiliated with Centurion Solutions Teams and TIPS and TAPS, a group in which each member is required to operate under a collection of regulations to aid commercial properties as well as government facilities. 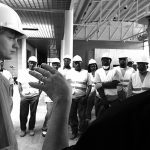 We also have our professionals work under the HGACBuy contract; it provides disaster preparedness and recovery planning, training, and support. When combined, the technicians we employ at Target Restoration have more than 100 years of experience in disaster restoration services. Aside from that, we hold IICRC certifications that must be earned through classroom and on-the-job training. 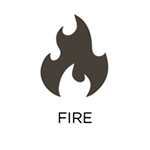 A portion of our professionals conduct work using the title “Master Fire and Water Restorer,” which is a role that requires the individual to have completed at least seven years of training. That said, we, as leaders in the restoration industry can be trusted to provide excellent results for restoring your property. We aren’t just providing services in our community; we also aid our community by partnering with different organizations. Our team is made of community members as well including military veterans, parents, wives, husbands, and children’s sports coaches to name a few. Target Restoration has had the honor of providing disaster restoration for each of the following institutions: H-E-B grocery stores, Belton ISD, Fort Hood, Darnell Army Hospital, and Baylor University. Our professionals have also been honored with the following awards: the 2015 Best of Waco Award for Fire and Water Restoration Service, the 2014 Hot Choice Award for Home Restoration, and the 2013 Contractor Connection Gold Hammer. To inquire about Target Restoration’s emergency disaster restoration services in Cinco Ranch, TX, contact us at (713) 966-6064. When natural disasters strike, properties can be damaged so much that they are left in unstable condition. But just because a disaster has passed doesn’t mean the damage is done. Further damage can ensue in the aftermath of most disasters. Some examples of this include mold spores dispersing into the air to pollute different areas, smoke and soot enveloping a structure, and water being absorbed by building materials to create water damage. This makes it necessary to get in touch with Target Restoration for immediate reconstruction services if your home or building in Cinco Ranch, TX is heavily damaged. 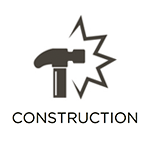 Our professionals are well-versed with construction work and have years of experience in the service. We can take care of the project management, roof contracting, electrical work, carpentry, painting, and board ups and tarping. During the claims process, we also work with your insurance provider to keep the process simpler for you. 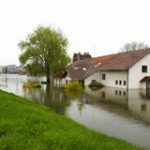 Thousands of dollars worth of damage can be caused to your home or building when it has been affected by excess water and flooding. The longer the excess water and flooding is present, the more damage your property will suffer as there’s more time for the water to get absorbed and spread throughout your property. Mold growth typically begins within 24 hours of the disaster, too. As a result, it is urgent to immediately get in contact with Target Restoration for water damage restoration services in Cinco Ranch, TX. 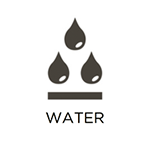 Every one of our technicians, as well as our Master Water Restorers, is IICRC-certified, so you can rest assured that we will properly dry out the structure and repair the building materials. In addition, we contain the damage to just the affected area to maintain a thoroughly efficient process. 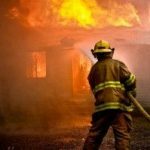 Flames of a fire are mistakenly thought to be the most harmful part of the natural disaster when, in reality, the smoke and soot byproducts a fire leaves behind cause more extensive damage that will become permanent if not eliminated as soon as possible. Your personal belongings can also be damaged during the process if they are not professionally cleaned. This is why Target Restoration is accessible 24/7 in Cinco Ranch, TX to offer our fire damage restoration services for properties recently harmed by a fire. We employ highly-experienced and well-trained professionals who will fully restore the building materials of your property and your personal content to their original condition. To make things easier during the claims process, we also work with your insurance. 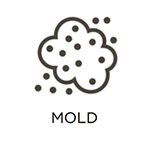 Mold is often a byproduct of various natural disasters with the most common one being water damage or flooding. This is because all mold needs for its spores to grow and spread in a short time is moisture, which is exactly what you’ll find with flooding. To make matters worse, mold can form on most household surfaces, such as furnishings, drywall, cement, and hardwood flooring. 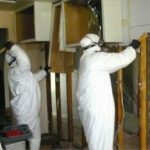 At Target Restoration, we have experienced licensed professionals who conduct mold remediation services in Cinco Ranch, TX to remove mold at its source. Our professionals also dry out the structure to restore the building materials and prevent mold from returning. Using powerful cleaning agents, we remove lingering bacteria to ensure the property is safe and clean enough to work or live in. 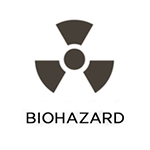 Biohazard material is a general term that describes numerous dangerous materials from situations such as sewage backups, mold growth, and severe accidents. Whatever the cause, you need to stay away from the biohazard materials because of the bacteria and pathogens they contain. To have such contaminants safely cleaned and removed from your property, get in touch with a professional restoration service. We, at Target Restoration, are available 24/7 in Cinco Ranch, TX to provide thorough biohazard and trauma scene cleaning services. Pathogens are eradicated using cleaning agents while our licensed professionals remove the biohazards from your home or building. Such a major accident may leave families feeling distressed, which is why we are compassionate with our approach when providing such a cleaning service. To request any of our disaster restoration services, call (713) 966-6064 to reach Target Restoration. We will react right away to initiate the cleanup process for your home or building in Cinco Ranch, TX.